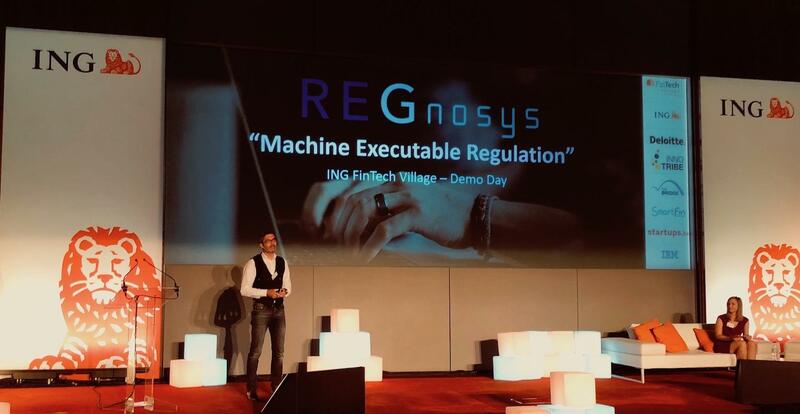 REGnosys is officially an alumni for FinTech Village by ING! On the 26th of June, Our CEO Leo Labels on-stage at ING FinTech Village demo day, with Senior Engineer Minesh Patel and Tom Forwood to unwind after 16 weeks of amazing hard work. In an explicit nod to the Financial Conduct Authority and Bank of England, we brought Machine Executable Regulation to life on stage, for the first time, at ING. Success concluding the FinTech Village programme! It has been our absolute privilege to collaborate with the ING team and we appreciate for the unique opportunity to live-test, and demonstrate, that Machine Executable Regulation can be for real.